Will The Voice Teens be followed by the 4th season of The Voice Kids? Anyway, sa Netherlands, for the first time in the show's history, magkakaroon na ng 4th coach ang The Voice Kids. Will ABS-CBN do the same? 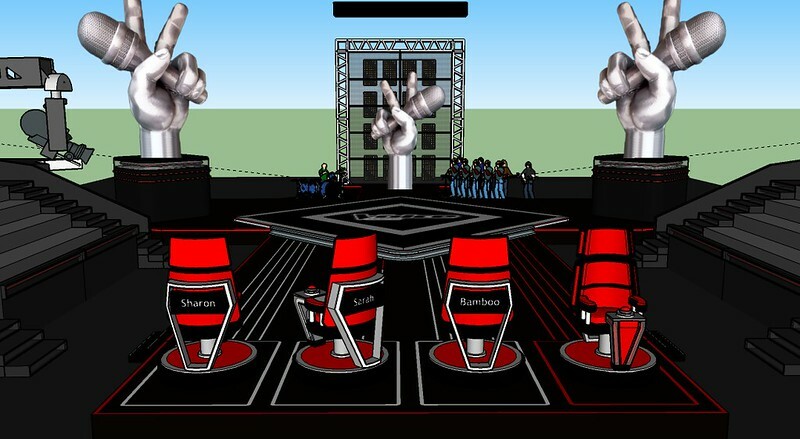 Since I still find the set of The Voice Teens bland, I designed one on Sketchup based on The Voice of Holland.